Can’t help being a little surprised, Rondo has been on the trading block for pretty much the entirety of the last 3 or 4 years. When I heard Dallas was interested in Boston’s mercurial Connect 4 Champion, I assumed it was the same thing as the Knicks being interested, or the Rockets or Lakers… they’d try to low-ball Danny Ainge, citing the PG’s woeful shooting statistics (has cracked 30% from deep once in his career!) and injury history, Ainge would point to his championship banner, and the talks would stall out before a deal was reached. 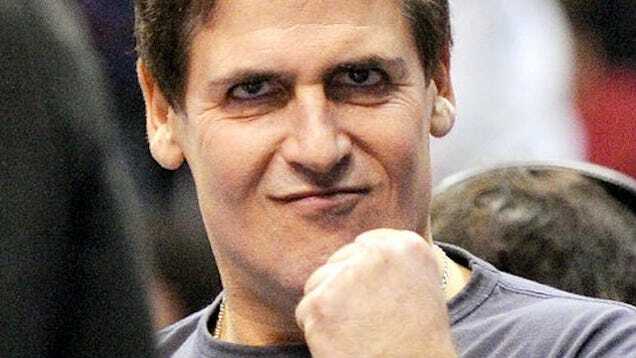 So, when I saw that the Mavericks had put together a trade proposal, I kind of dismissed it. And, little that I know about anything, a deal was reached that very night with the last remnant of the ’07-’08 championship team (a team that somehow included both James Posey and Sam “Big Balls” Cassell. Throwbackzz) being shipped off for evermore draft picks. Dallas will receive Rondo as well as salary throw-in, forward Dwight Powell (?? ESPN doesn’t even have a picture) for a package that includes the aging Jameer Nelson, FG% master Brendan Wright, and the funky, funky Jae Crowder. And, most importantly, picks!!! Boston will receive a conditional 2015 first rounder, a second round pick in 2016, and a $12.9 million trade exception. NOTE: After looking around the internet for a little, I found out that “conditional” means the pick is highly protected. Boston doesn’t get it if it falls between 1-3 and, more importantly won’t get it if it falls between 15-30. Seeing as the Mavericks already seem to be a playoff lock and are now all-in, it should be safe to assume that Boston won’t see this pick until 2016. Either way you slice it, though, Boston now has 8 first round draft picks in the next four years (!!! ), meaning Ainge can pretty much “choose your own adventure” in how slowly he wants to let this rebuilding process unfold. Jameer Nelson ain’t playin. If this move means anything to “Bean City’s” organization, it is that they have put full faith in Marcus Smart. Its true that Smart has struggled somewhat this year, both in terms of shot-selection and various injuries that have caused him to miss more games than he has played. However, the rookie has shown signs of being a fearsome defender and coach Brad Stevens noted that on the few nights this year Rondo sat, the ball moved much better with Smart and Evan Turner manning PG duties. Nelson’s contract is only for two years with a player option in the second, meaning he can chase another championship next year (like he did in Dallas) or just chill on the bench in Boston for a cool $3 million. Harder to say whether or not Wright will see the court. The Celtics do have a lot of intriguing players in the frontcourt with Sullinger, Olynk, Brandon Bass, and Tyler Zeller. While Wright has been a huge part of Dallas’ success this season, rolling to the rim and posting a ridiculous .748 FG% on the season, I can’t see him taking time away from the Celtics’ younger assets. The player I love for Boston, though, is Crowder who has been a kind of positionless swiss army knife. Rick Carlisle has played Crowder at everything from the 2 to the 4 and he brings the particular brand of defense and athleticism that Dallas sorely lacks. At only 24, he still has a lot of upside, particularly if he can boost his 3pt% a little (at 34% now) and become a 3 and D wing guy. While this trade will have made Boston even more unwatchable than before, I might tune in to see him getting some minutes behind Jeff Green. Because, make no mistake, this trade was about the picks. I got the feeling that this season was largely a trial period. Ainge and Stevens seeing how competitive the C’s could be with Rondo on the roster, seeing if they could flip some of those picks for a player who could push them into the playoff conversation (Stephenson maybe?? Hahaha he and Rondo could COMBINE for a league average 3pt shooting backcourt. He’s shooting 15% from deep!!!). And, of course, if the experiment wasn’t working, jettison their last quality player with an eye to the future. Back in October I wrote that watching the Celtics this year would be interesting for the sole purpose of waiting for Ainge to find a trade partner for Rondo. Now that its done, I’m done as well. Fast forward to draft night. This is what people want to talk about! How will Rondo fit in with the Mavericks current roster? Will he push them over the top for another championship in the Dirk Nowitzki era?? Will he get into a screaming match with Monta Ellis over his ridiculous ball hogging??? Only half joking about that last one. Personally, I don’t think Rondo is a great fit for the Mavericks roster. The Mavs already have Ellis playing lead ball-handler, which has been something he excels at. Rondo’s poor shooting makes him an awful option for playing off-ball guard and Ellis isn’t much better. Monta is shooting 30% from deep on the season and has inspired numerous articles on his poor 3 point shooting. While I was joking about the two of them getting into it off the court, I’m not really sure how this is going to work out while playing. Who handles the ball at the end of the 4th quarter? Will we finally see the elusive 0 point, 20 assist night from Rondo?? All that being said, Rondo is the man to push this team over the top. Poor roster fit aside, the Mavericks just got the best player available on the trading block (not to mention the biggest in-season trade of the last couple of years). There is no way adding the best player out there worsens your team in any way, and Rick Carlisle is the premier coach of getting the most out of odd groupings of players. Look out for the Mavericks to stagger Rondo and Ellis’ minutes so Rajon is facilitating for the bench units that lack “create your own shot” players and Ellis continuing to murder teams with his pick and roll partner Dirk. Not only that, Rondo brings defense!! For a Mavericks team that came up short last year with a league first offense and a woeful, woeful D, the acquisitions of Chandler and Rondo make this team a scary matchup come April and May. And maybe June…. The one player that Dallas will sorely miss is Wright. The Mavs have used him consistently over the past few years in the pick-and-roll and as a shot-blocker around the basket. While Chandler is an upgrade in pretty much every conceivable way, the Mavericks are now without a backup center. And ask any Knick fan about Chandler’s prospects of staying healthy through a whole 82 game season and playoff series (Indiana!! Ughhh). After the trade Dallas does have an empty roster spot, and will no doubt pursue another big man, but I’m not sure who out there is going to provide meaningful minutes for this squad. Maybe Andrew Bynum is still available? On second thought, look for a lot of small-ball coming out of Dallas. The only thing for certain? I will be tuning in to the Mavericks hosting the Spurs on Saturday. And you could not pay me to watch the Celtics-Timberwolves tonight.